If you have been charged with a DUI in Georgia, you need to speak to an experienced drunk driving lawyer as soon as possible to protect your rights and make sure you can prepare the best possible defense to your case. Gwinnett County is the second largest county in Georgia in terms of population. As of 2017, nearly 1 million people are calling Gwinnett County home. The county seat is Lawrenceville, and it is home to a dozen other cities including Berkeley Lake, Buford, Dacula, Duluth, Grayson, Lilburn, Loganville, Norcross, Peachtree Corners, Snellville, Sugar Hill, and Suwanee. In such a large county, there are a number of law enforcement agencies that make criminal cases. The largest are the Gwinnett County Police Department and the Gwinnett County Sheriff’s Office. The Georgia State Patrol and Department of Public Safety also patrol in the area. And several of the cities have their own police departments including the Duluth Police Department, the Norcross Police Department, the Suwanee Police Department, the Snellville Police Department, the Lilburn Police Department, and the Loganville Police Department. Most cities in the area have a city Municipal Court even if they don’t have their own police department. Most misdemeanor criminal charges including DUI that are brought within the city limits of any Gwinnett County municipality start out in Municipal Court. Municipal Court is different from other courts because both the judge and the prosecutor are usually part-time city employees who are still engaged in a private law practice when not working at the Municipal Court. They generally do not maintain offices at the Municipal Court and work primarily on days when court is in session. Municipal Courts also do not offer jury trials. If you want a jury trial on your misdemeanor charge in Municipal Court – which you have an absolute right to have under both the U.S Constitution and Georgia Constitution – your case will have to be transferred (or in legal terms “bound over”) to the State Court of Gwinnett County for further proceedings. Whether or not to have your DUI case bound over from Municipal Court to State Court is an important strategy decision and one you should only make after consulting with a skilled DUI lawyer in Lawrenceville. The prosecutor and judge in Municipal Court have as much authority to dismiss or reduce your charge as the prosecutor and judge in State Court do. In some cases, that means it could be beneficial to attack your DUI charge in Municipal Court to see if it can be dismissed or reduced at that stage before ever having to be bound over to State Court. Cases that start in Municipal Court can take longer to work their way through the criminal justice system than cases that start in State Court from the beginning. That additional delay can be a help or a hindrance to your case depending on how that additional time is used. That is why it is important to get your driving under the influence cases into the hands of a top DUI lawyer as soon as possible so that every opportunity to defend your case is maximized and no opportunities to obtain a dismissal, reduction, or valuable evidence or strategic information for the defense are lost. What Are The Consequences For DUIs In Gwinnett County? A drunk driving arrest can place your driver’s license in jeopardy and requires prompt action to save it from suspension. When you are arrested, your license is in jeopardy of both a civil/administrative suspension and a criminal suspension. The civil/administrative suspension usually comes first and must be fought as diligently as the criminal charge itself. Under Georgia’s Implied Consent law, if you refuse to take the state breath test for alcohol, the Intoxilyzer 9000, your license faces mandatory suspension for one year with no ability to obtain a limited permit to drive to work. But taking the test does not relieve you from the burden of a license suspension automatically either. If you take the test and blow a 0.08 or higher, not only do you run a greater risk of being convicted at trial, your license can still be suspended administratively under the Implied Consent law before you are ever convicted in a criminal court of any wrongdoing. If you take the state test, you can appeal the civil/administrative suspension and obtain a permit pending the outcome of your appeal but only if you act quickly and file the appeal with the Department of Driver Services within 30 days of your arrest. This is just one of many reasons why it is so important to hire a skilled criminal defense attorney right away, in addition to potential felony charges. Not only can the administrative license appeal cost you your license if not properly handled, it can also cost you an opportunity to get the arresting officer under oath and on cross-examination at an appeal hearing to gain valuable evidence and testimony that could prove very helpful to your defense of the criminal DUI charge down the road. How Can DUI Lawyers At Spaulding Law Help Me With My Case? Each DUI lawyer is not the same. Georgia DUI law is a particularly complex area of law and constantly changing. 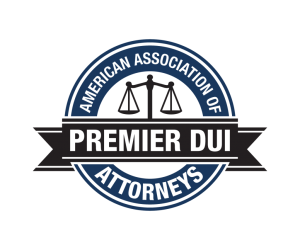 Lawrenceville DUI lawyer Jeremy Hayes was admitted to the American Association of Premier DUI Attorneys (AAPDA) and has received specialized training in the area of DUI defense. He is also a former prosecutor who knows how police officers and prosecutors prepare cases and how to combat them to get the best results for his clients. Mr. Hayes knows how most Gwinnett County police officers are trained to conduct DUI investigations according to standards established by the National Highway Transportation Safety Administration (NHTSA) and how the standardized DUI investigations relying on field sobriety exercises for alcohol or drug intoxication can reach incorrect conclusions when the officers fail to follow their training or administer the tests correctly. There are a number of ways to attack and defend an unjust charge if you know the law and know how proper investigations are supposed to be conducted. But there is no time to waste. In some cases, it is important to begin gathering evidence such as an independent blood test immediately after your release from jail so that you can have your own scientific testing to combat the state’s testing showing what was in your system on the date of your arrest. If you don’t get the testing soon enough though the value of it may be diminished or lost completely. If you are facing a DUI charge, you must act quickly to protect your rights, save your driver’s license, and prepare the best possible defense to your charges. Contact lawyer Jeremy Hayes right away to set up your free initial consultation for your DUI arrest.